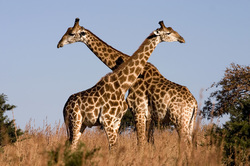 The giraffe is the tallest animal in the world! 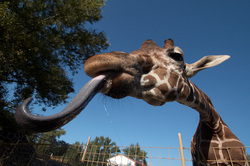 Giraffes like to eat leaves off the trees. They grab the leaves with their long, thorny, black tongue! 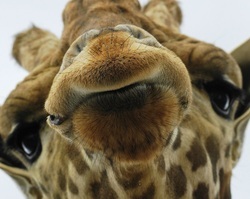 Giraffes are covered with hair. It is smooth to touch. 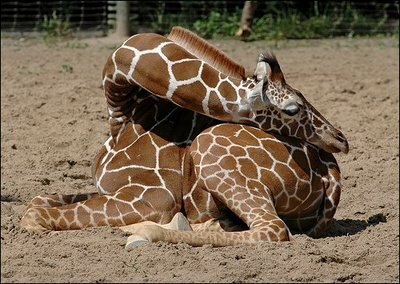 The giraffe only will	sleep 20 minutes at a time. They have to be watching out for danger all the time.